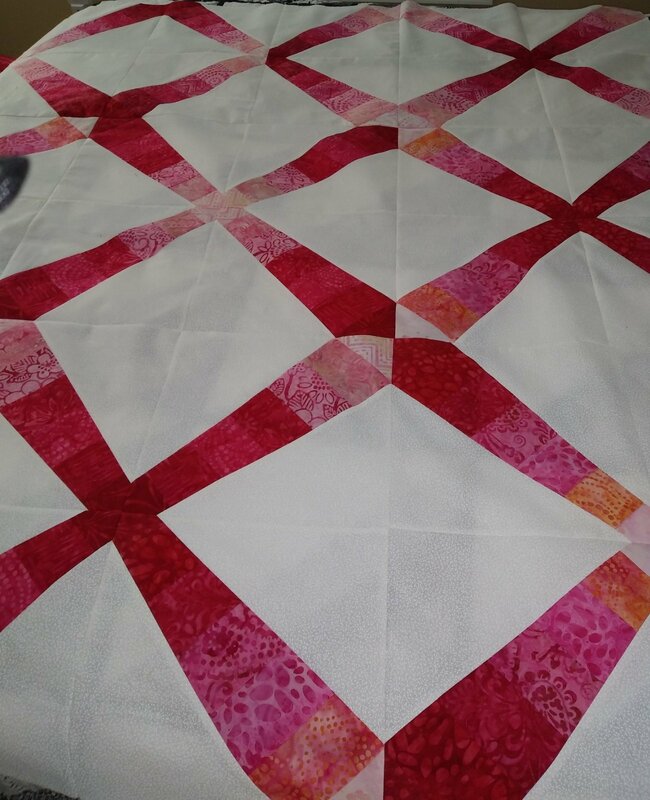 For this quilt a jelly roll with gradations of the same color works great! Choose a layer cake of all whites or buy yardage and make this easy quilt. Choose your choice of color way.